Workers have conducted protest marches, launched work-slow campaigns and organized hartals to pressure the Estate Administrations to accede to their wage request. Workers complain that Ceylon Workers Union (CWC) officials are pressuring them to stop the protest campaign as the CWC has reached an agreement of Rs240 per day. Meanwhile, Upcountry People Front (UPF) is urging the workers to continue protests until the Employers Federation agrees for a minimum of Rs.300 per day wage for the workers. 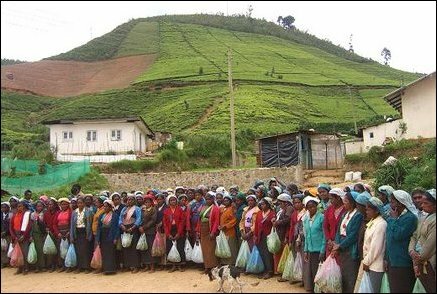 Political observers say that the wage levels for Tea estate workers are lower than those of janitorial staff employed by the Urban councils, and accuse the Sri Lanka Government of ignoring the plight of the workers who account for a significant fraction of Sri Lankas export economy. 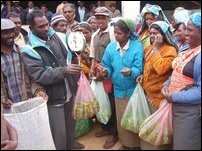 During the 1985-1986 time frame when the tea estates were privatized, the trade unions comprising the Ceylon Workers' Congress (CWC), Lanka Jathika Estate Workers Union (LJEWU) and Joint Plantation Trade Union Committee (JPTUC) made a "Collective Agreement (CA)" with the Employers Federation for wage increase negotiations. This agreement continues even now to the detriment of the estate workers where workers cannot exercise true union power, and other unions including UPF are excluded from this negotiating process, UPF leader Chandrasekaran told TamilNet in an earlier interview.